Your DGB for today is to fire up Resistbot and get some information about your local reps.
Resistbot is here once again to help us grab back. 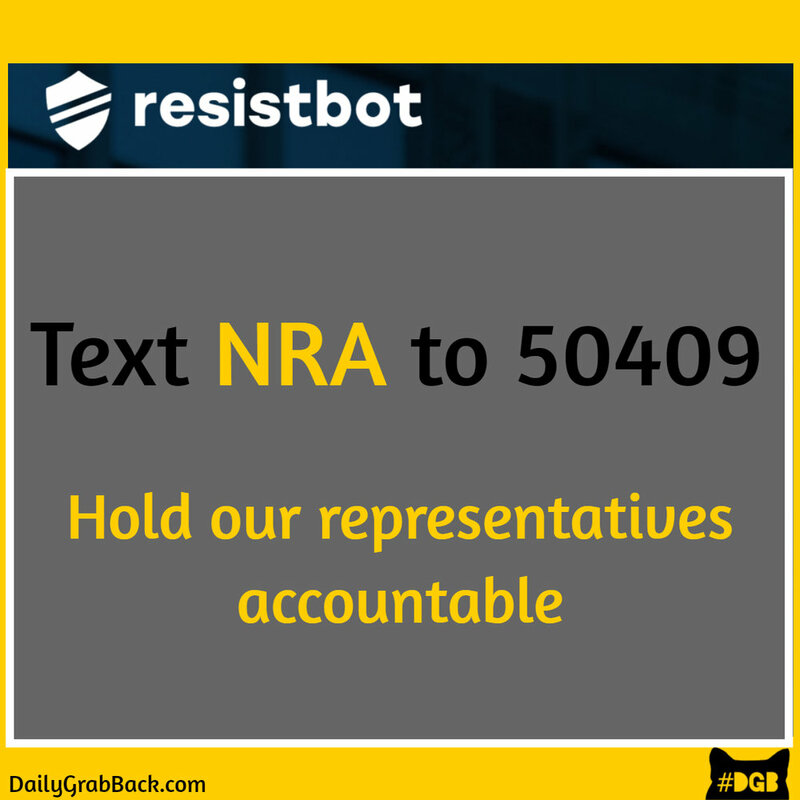 If you text NRA to 50409 (Resistbot) it will return a message telling you how much blood money the NRA paid to support your local representatives. If they received gun funds, it will help you generate a Tweet asking them to donate the money. If you are a luddite like some of us here at DGB and still can’t handle the Twitter, just copy and paste the message into an email, a Facebook post, a Word document or copy it down in longhand using your quill pen. Fair warning: the results may surprise you! Remember that Shame Bell we had you ring last week? Democrats are guilty of this too. Let’s get murder money out of our democracy!